International development stakeholders harness communication with two broad purposes: to do good, via communication for development and media assistance, and to communicate do-gooding, via public relations and information. This book unpacks various ways in which different efforts to do good are combined with attempts to look good, be it in the eyes of donor constituencies at large, or among more specific audiences, such as journalists or intra-agency decision-makers. Flor Enghel is a member of IAMCR, as are many of the chapter authors. 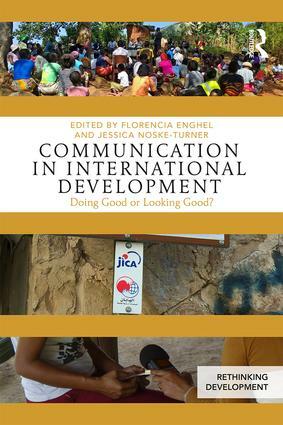 Title: Communication in International Development: Doing Good or Looking Good?